The Empathy Tent Team members Edwin and Lou when to the office of Congressman Mark DeSaulnier in Walnut Creek, California last week to talk with Mark about our empathy work. We wanted to invite him to take part in some empathy circles for bridging the social divides. Mark DeSaulnier is Congressman for CA Congressional District 11 which is when Edwin lives. This is the SF East Bay Area. He talked with us for over 20 minutes in his office. We started off by telling Mark about our Radical Empathy Forum and handing him a flyer and media packed about it. He just kept saying, “This is great, this is great!” He started reading the media reviews we had and seemed to get really engrossed in them. “How many people did you have.” He asked while he read the reviews. “It was 35 or 40, and we had a ripple effect with the media because it was in the Daily Californian and KQED radio etc.” I replied, sort of wishing we had had more attendees to make it sound more impressive. His staff also mentioned later how they had watched the video of the forum and how interesting it was since they personally know most of the candidates. It was good to hear that they were watching the videos. It was building interest and support for our work. 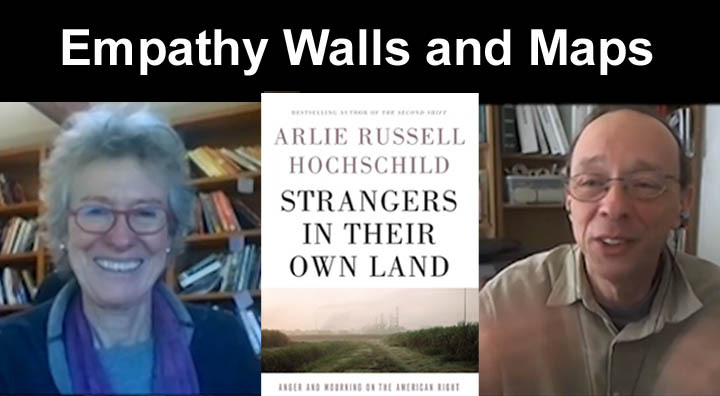 Mark mentioned Arlie Hochschild as a person that wrote a book about liberals listening to and trying to understand conservatives. I happened to have interviewed her and had brought a printout with a photo of the interview with some quotes. I handed them to him. Felt good that I had anticipated he might mention her. He said Arlie had invited him for dinner to her house in Berkeley and they had a longer talk. We proposed some different options for him taking part in an empathy circle. He said he will take part in an empathy circle, probably in August when he has a month off from congress. I thought a circle online with other representatives would be fast and easy but he seemed to want it in person in our district. DeSaulneir expressed interest in communicating across political divides and told us some stories about how he’d tried to invite colleges from across the isle to do that. We got the impression that he definitely thinks cross-divide dialogue is important and would like to find ways to create more of that. This is s our second meeting with Mark. Our team met him at a Town Hall where we had set up the empathy tent. 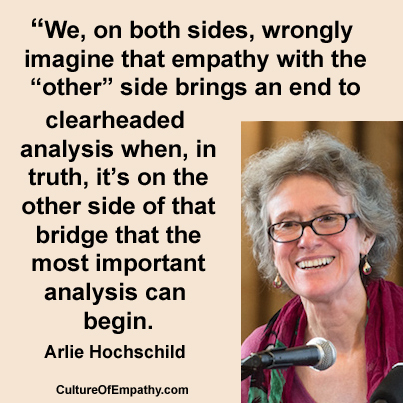 This is all part of our efforts to bring empathic awareness and skills into the political arena where it is sorely needed. It’s important that we get our empathy training MOOC online since it will help in all these efforts. To join the training project visit.